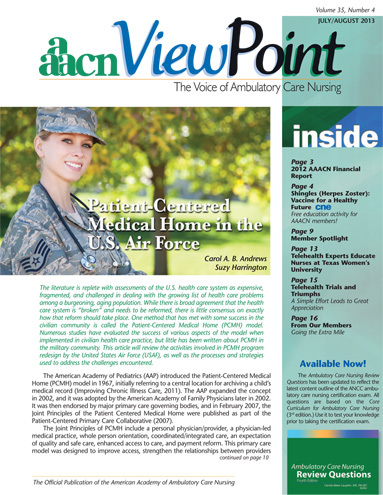 ViewPoint, the official newsletter of the American Academy of Ambulatory Care Nursing (AAACN), is a peer-reviewed, bimonthly publication for nursing professionals. The newsletter is a benefit of membership and offers one contact hour article per issue as well as practice and association news. Individual nurses can only receive the newsletter via a membership in AAACN. Institutional subscriptions are available.